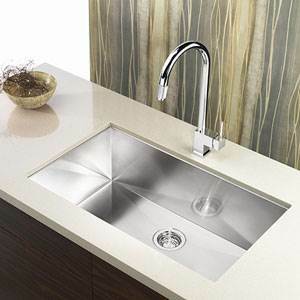 Blanco is one of the world’s best and top-ranked suppliers of high-quality sinks, taps and other kitchen appliances. It was established in the year 1925 in Germany and is well-renowned for its German quality. Blanco is also well known for the sustainability of the materials used in its products. With the dedication of 1400 employees across the world, Blanco successfully distributes its excellent quality products worldwide. The utilisation of high-quality materials such as stainless steel, silgranite and ceramics give the products longevity and makes them both highly functional and desirable for the users. In 2015 Blanco has successfully managed to generate 350 million euros worth of sales, comprising of 65% of the products sold on the international markets. The headquarters of the Blanco UK warehouse and distribution centre is located in St. Albans, Hertfordshire. There are thousands of reasons to select the kitchen fittings especially the sinks and taps very carefully as most of the activities performed in the kitchen involve the usage of a kitchen sink and the taps. Therefore, it is necessary that you select the sinks and taps that come in high-quality materials and are long-lasting, and Blanco kitchen sinks and taps are the perfect solution for you when it comes to the quality and functionality of the product. 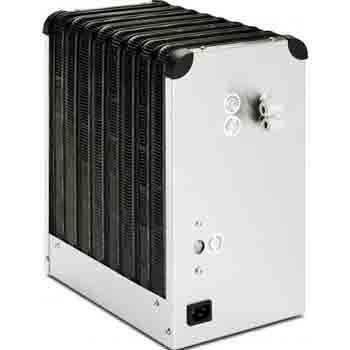 Blanco gives significant attention to the quality and standards of the products supplied. This indicates that Blanco applies the highest standards in the manufacturing of its products such as before supplying the products into the marketplace the experts at Blanco put the products under the various quality tests to finalize their high quality, functionality and longevity. Blanco takes it to heart to give meticulous attention to the details and designs of the products to deliver the best to the users. To achieve this goal Blanco has the expert team of researchers who analyze the latest trends, demands of the homeowners and their feedback regarding the products. These researches give a futuristic vision and motivate the company to bring innovations and latest technologies into use in the manufacturing of the products. Thus the designs introduced by Blanco not only make the products strong and long-lasting but they also add the flavor of beauty and trendiness into your homes. The most popular material designing technologies used by Blanco are Stainless Steel SteelArt, Silgranit®PuraDur and Ceramics®PuraPlus. 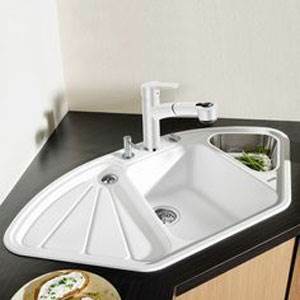 A sink is the most central part of any kitchen as it is involved in more than 60% of the activities taking place in the kitchen from the preparation of the food to the cutting and washing tasks. But before you select a sink for your kitchen you must take into consideration the right size of the sink cabinet as the standard sizes of the sink cabinets Blanco offer come into three widths i.e. 45mm, 50mm and 60mm. However, Blanco also offer XL kitchen sinks, all the kitchen are available in Blanco single-bowl sinks, one & a half bowls and double bowls choices. The Blanco sinks are manufactured of three different high-quality materials i.e. Blanco stainless steel sinks, Blanco silgranit sinks and Blanco ceramic sinks. Besides that, these kitchen sinks also offer different installation styles as you have the choice to select from either the inset kitchen sinks or the undermount kitchen sinks. You will also get the liberty to select from the variety of colours that is offered in silgranit kitchen sinks and ceramic kitchen sinks. 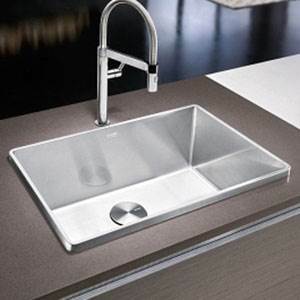 Blanco kitchen sinks offer vast ranges of sinks of which some popular ones are as Blanco Adano Sinks, Blanco Attika Sinks, Blanco Claron Sinks, Blanco Adon Sinks, Blanco Axia Sinks, Blanco Classic Sinks, Blanco Setura, Blanco Supra Sinks, Blanco Yova Sinks and Blanco Zenar Sinks. With all these features and qualities Blanco kitchen sinks will complement your kitchen and will be the perfect match for your worktops. 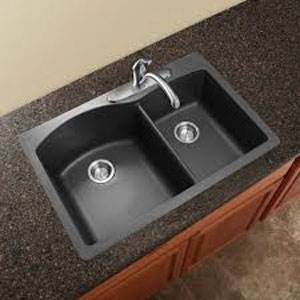 If the sinks are the heart of a kitchen then the taps are the heart of a sink as no sink can be functional without a tap. Blanco with its more than 90 years’ manufacturing is well-reputed as one of the best tap manufacturers of the world. Blanco utilizes the latest technologies to deliver the best kitchen mixer taps to the users with an array of innovative designs and beautiful shapes. All the kitchen taps manufactured by Blanco are absolutely compatible with the modernly designed households. But before you select a kitchen mixer tap you must consider the type of water pressure your house. Blanco has been manufacturing both single-lever and twin-handle taps, but with the passage of time the Blanco monobloc mixer taps are getting more popular among the modern households as the temperature and the flow of the water both are regulated with just one hand, a key improvement when compared to the traditional twin-handle kitchen taps. An additional benefit of the single-lever taps is that they use less water as compared to the twin-handle taps, for the water temperature is instantly adjusted and the water doesn’t have to run for a long time like it has to in the twin-handle taps. However, the twin-handle taps are also still very popular due to their simplicity and easy usage. Blanco also offers single-lever taps with extendable sprays. These Blanco kitchen taps with pull-out spray will definitely increase the radius of your working area when compared to the kitchen taps having cylindrical spouts. With the pull-out spray faucets you can easily fill your cooking pots while you don’t have to put them in the sink bowl area and you can also easily wash away the dirt and stains from your kitchen sink’s bowl and drainer. The filter taps manufactured by Blanco are also getting famous day by day and are ideal to provide filtered fresh water in the areas where the water is hard and heavy and also harmful with health point of view. The filter cartridge used in these filter taps are highly efficient to remove the contamination like chemicals, toxins and heavy metals from the water. These kitchen mixer taps are manufactured with the utilization of high-quality stainless steel, silgranit and ceramics also offering a variety of colours to select from, matching your kitchen sinks. The popular ranges of Blanco kitchen mixer taps are Blanco Culina Mixer Tap, Blanco Felisa Mixer Tap, Blanco Linus Mixer Tap, Blanco Yovis Mixer Tap, Blanco Cloe Tap, Blanco Eye Tap and Blanco Vonda Mixer Tap. One of the most enjoyable and creative activity in the kitchen is cooking but the food aromas and all the steaming and grease combined together results in air contamination. If not removed in due time these conditions might turn into the buildup of unwanted grease and dirt deposits on the kitchen walls as well as the furniture thus spoiling the appearance of your kitchen. 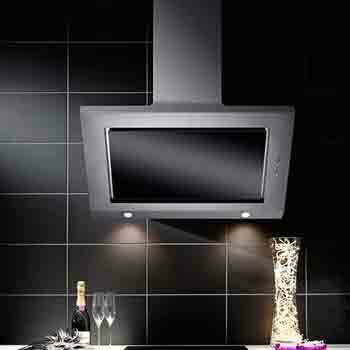 To help you with all these problems Blanco has been crafting the best and vast range of Blanco cooker hoods. These hoods include the choices of built-in extractor hoods, canopy hoods, island hoods, wall hoods and telescopic hoods. All the hoods are manufactured with the utilization of high-quality stainless steel and glass material.Blancoair extractor hoods also feature 'replaceable', semi-professional washable aluminium grease Blanco cooker hood filters.